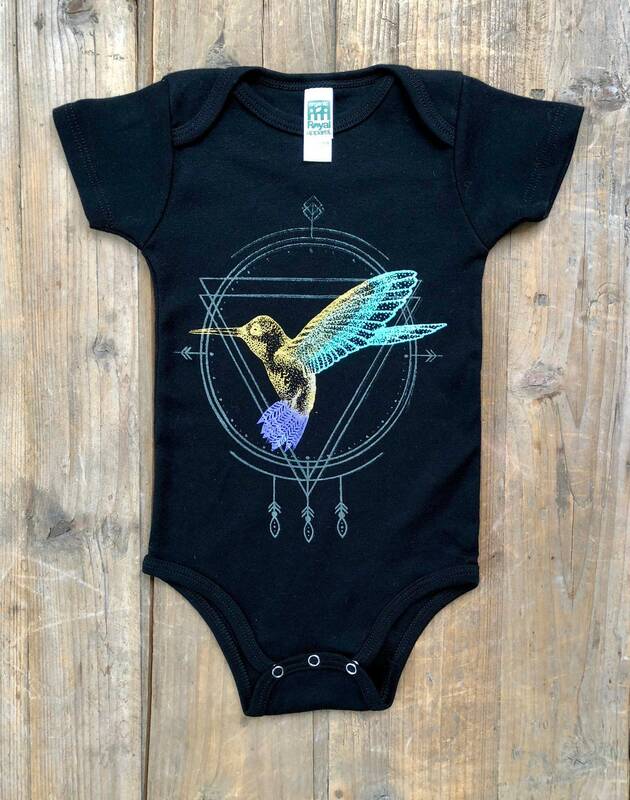 Printed using water soluble, eco-friendly inks on Organic cotton bodysuit/onesies. 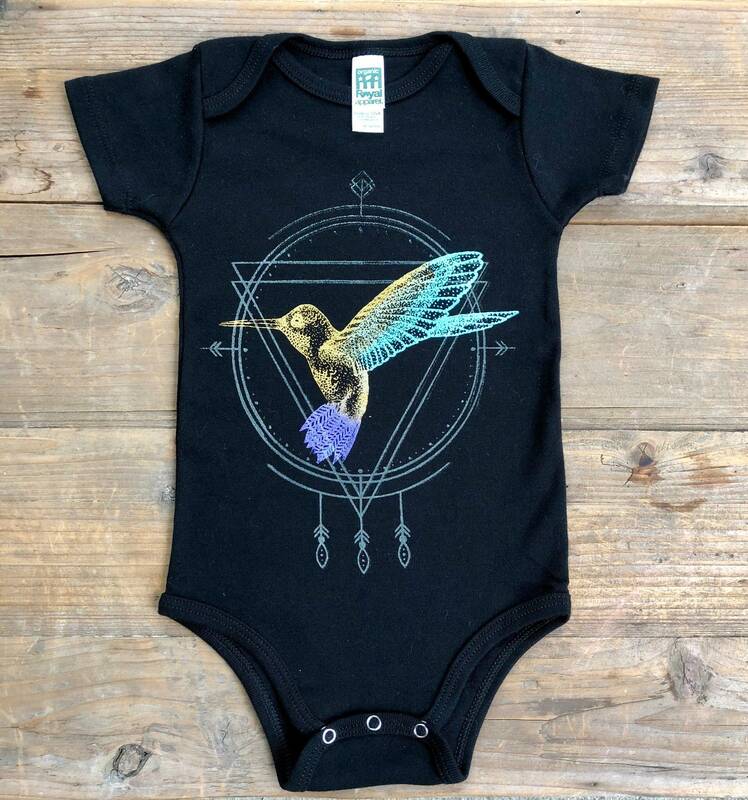 This bodysuit is available in black with gold, teal, and purple hummingbird print. 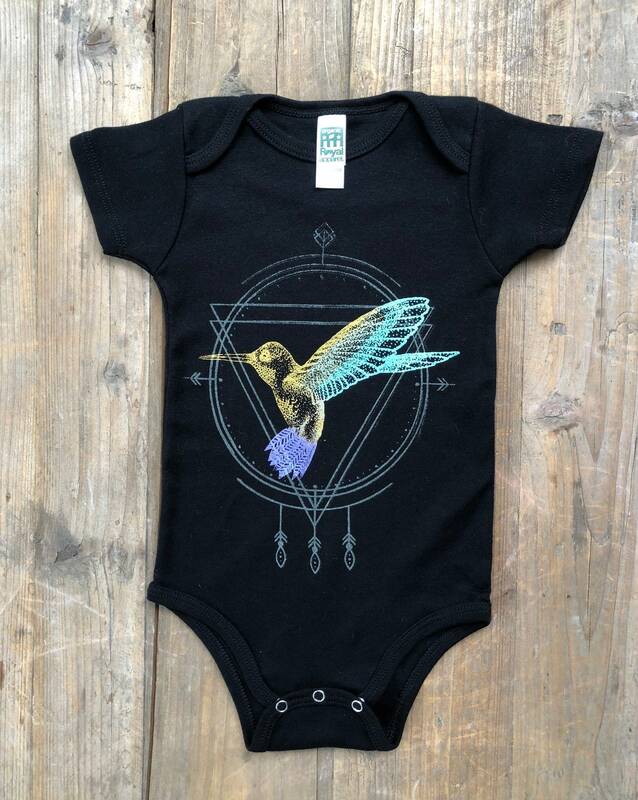 Please message me if you'd like a different color onesie!